Let's start off nice and easy by adding all the rooms in your current house. Enter your full name, phone, and email address and we'll SMS it straight away! Want The Best Price Possible? Let Us Give You A Call, And An Exact Quote! Enter your details and we'll call straight away and then you can get on with the packing! What size property do you live in? What's the best number to get you on? 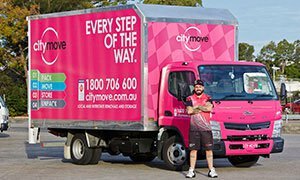 What is your ideal moving date? Where are you moving to, and from where? Get A Quote In Less Than 60 Seconds! Type in the first few letters of your suburb then select from the dropdown menu. Time to work out how big a truck we need! You can add/remove rooms & add/clear items by using the "Actions" menu! Now Let's Take A Look At Access! So, we're picking you up from UNDEFINED..
And We're Dropping You Off At UNDEFINED. Note: There will also be a small 1/2 HR callout fee for your job (will vary if distance travelled is more than 30Km from the Metro Area). One Man & A 4-Tonne Truck! Two Men & A 4-Tonne Truck! 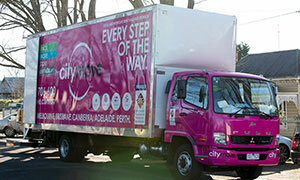 Three Men & A 4-Tonne Truck! 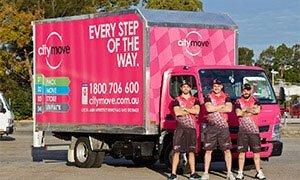 Four Men & Two 4-Tonne Trucks! Two Men & A 10-Tonne Truck! Three Men & A 10-Tonne Truck! Mon - Sun: As per quoted price! 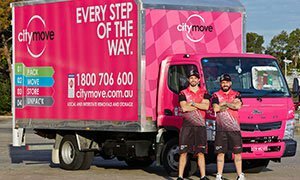 Copyright Citymove Pty Ltd © 2019 | Quote currently NOT Saved.